Set the tone for a peaceful night's rest! At the end of a busy day, sleep can sometimes prove elusive. But that doesn't have to be the case. By integrating meditation into your nighttime routine, you can set the stage for quality rest. A Mindful Evening gives you the tools you need to power down at night. With nearly 200 inspiring quotes and short, easy mindfulness exercises, you'll learn how to end your day with a clear head and calming energy. These simple moments of awareness, healing postures, and meditations can help soothe your soul as you conclude each day and prepare for a tranquil, restful night's sleep. 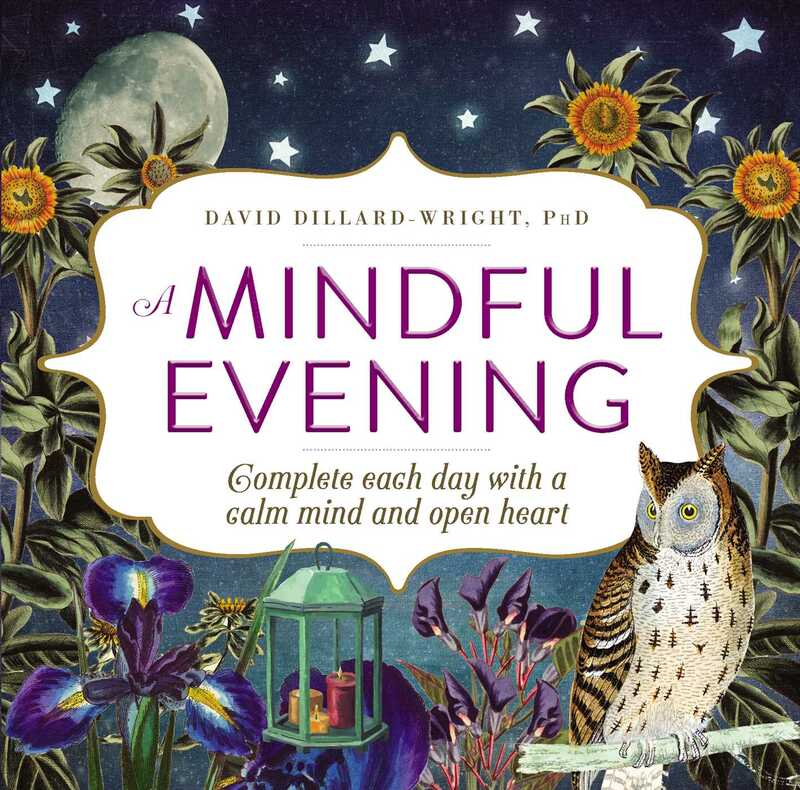 "Finally drift off to sleep with an exercise from David Dillard-Wright’s A Mindful Evening: Complete Each Day With a Calm Mind and Open Heart." "If we take just a few minutes to switch gears before we rest, we can set the tone for a peaceful night’s sleep. A Mindful Evening … helps you let go of what has held your attention for the last twenty-four hours. Instead of focusing on how the day has stirred your own joys and sorrows, consider your part in the larger, ever changing world."